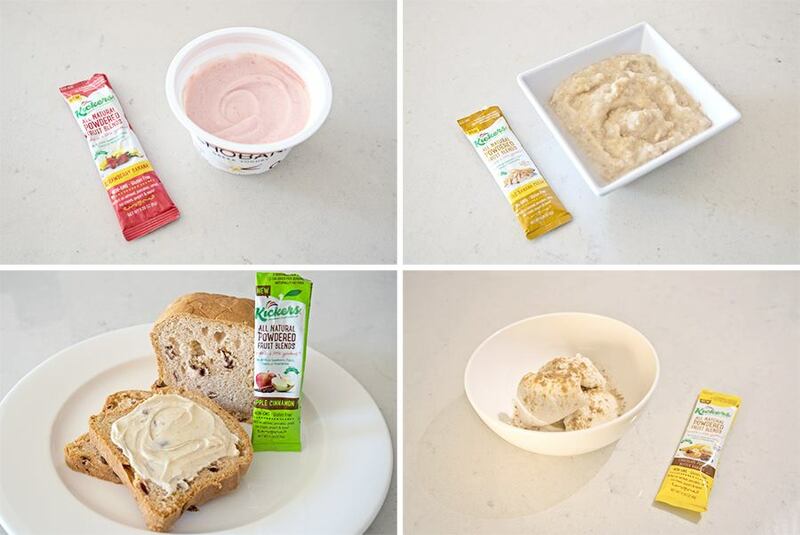 Anna S., from the blog Gluten-Free Jet Set, recently shared some of her favorite Kickers-for-breakfast recipes! 1. Strawberry Banana Yogurt 2. Maple Banana Cream Oatmeal 3. Apple Cinnamon Butter 4. Chocolate Peanut Butter Banana Ice Cream. Visit Gluten-Free Jet Set to see Anna's full review of Kickers Powdered Fruit Blends and more tips for creating delicious recipes!